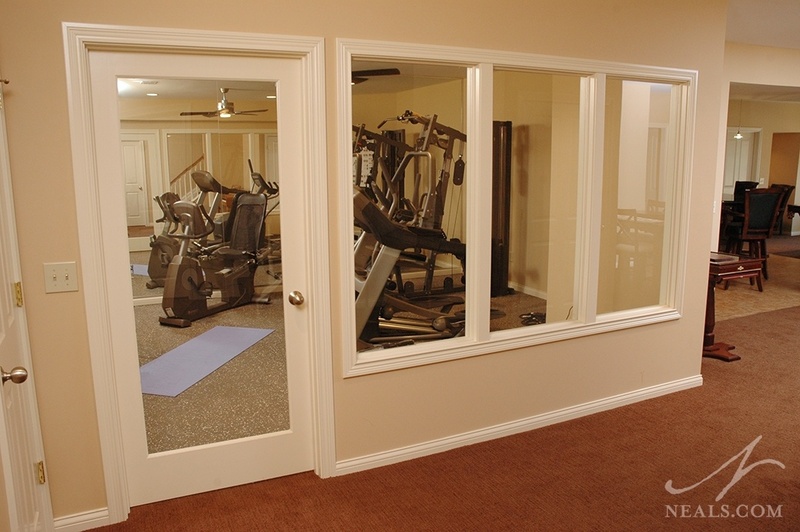 When planning for the inclusion of a gym in your home, there are some very important questions to ask to ensure that you create a space that is well-suited to your workout needs. 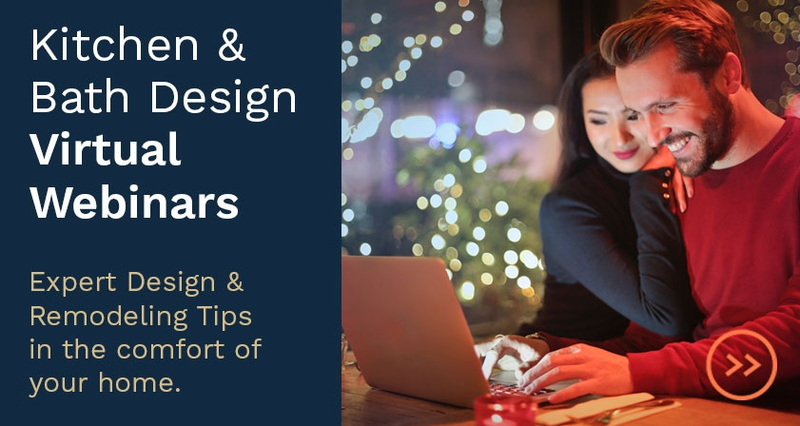 While any space in the home can be set up for exercise, getting the details right can make a big difference in the success of your personal exercise goals. 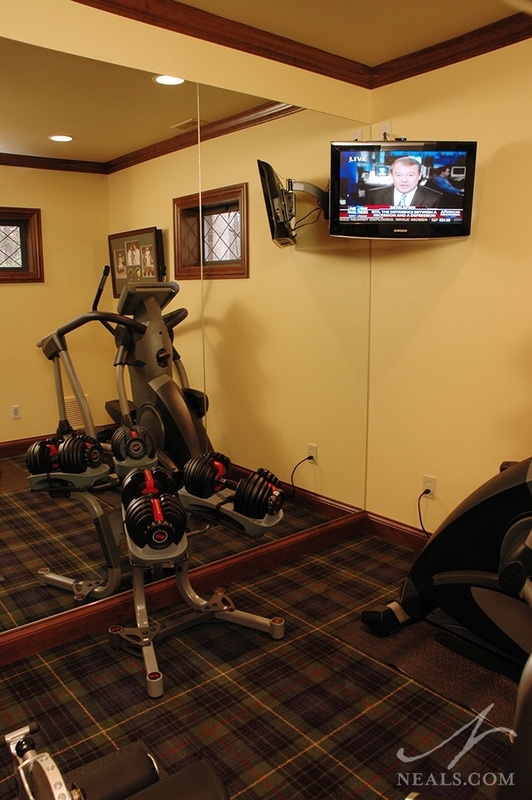 A playroom was converted into a home gym in this basement remodel. To increase the light in the room, windows were installed in the front wall, which also brings a professional feeling to the space. What kind of exercise will you be doing? There's a big difference between the quiet, slow practice of yoga and the high-energy pace of aerobics. Each type of exercise comes with its own set of equipment, atmosphere, sounds, and safety concerns. 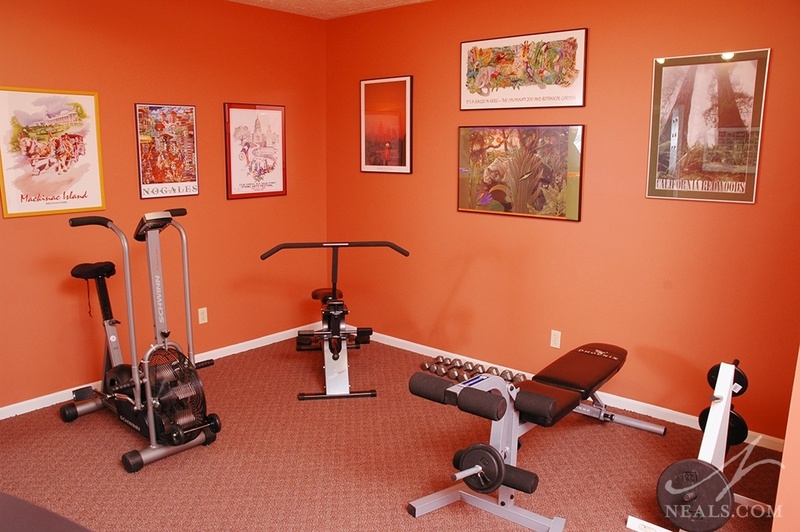 Before deciding to outfit a home gym, be sure to think through each of the types of activities you'd like to do. If you are currently doing these at a gym, you can get the ball rolling on this by taking a look at the things used there and how the space is arranged. Since the equipment here is all stationery, they were lined up and positioned to face a wall-mounted television. What sort of equipment will you be using? Gym equipment can take up a fair amount of room, so be sure you understand the dimensions of the items you'd like to include to make sure your space is large enough. A successful home gym will be one in which you don't have to constantly move your equipment to make way for the next activity. Consider the storage space or shelving you might need for your yoga mat and ball, or your weights. 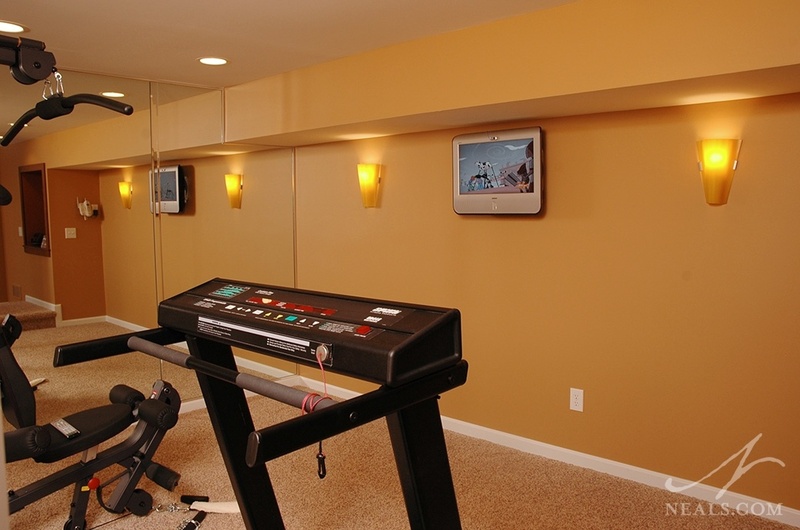 An awkward space leftover from finishing the basement in this home was coverted into a workout room. Mirrors on the angled walls make the room feel larger. How will you ensure a safe workout environment? As part of a larger English country remodel, a low-pile plaid carpet was installed in this small gym. Mats under the equipment protect the carpet from long-term wear. How will you finish the floor? Unlike most other rooms in the home, the floor in your workout space is a vitally element. Most exercises require a similar set of flooring characteristics, and not all flooring options will meet them. A non-slip surface is the number one priority, especially for weight training. A rubber floor, which provides cushioning, is championed as the best all-around option. There are a few different products that can work, including rolled or tiled rubber flooring and rubberized carpet tile. 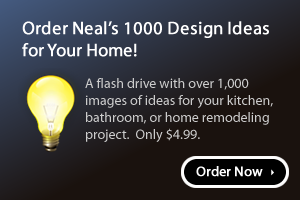 The option you select will depend on the look you want in the space and your budget. An energetic orange and a collection of meaningful posters add style and interest to this gym, encouraging the owners to stay positive and not give up on their goals. How will you stay motivated to keep going? One final important consideration is to think about what else you may need or want in the room with you while you work out. If you enjoy having cold water on hand throughout your routine, consider the addition of a beverage cooler or kitchenette in your gym. 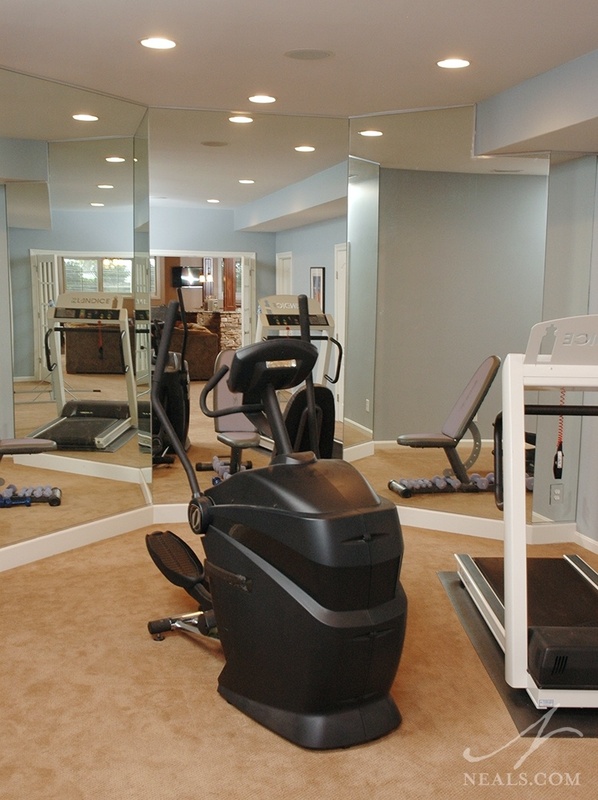 If you'll primarily be using stationary equipment, such as a treadmill or stair climber, think about your view. Televisions are not a necessary component of a home gym, but you may wish to have the option of watching your favorite shows or movies while you work out, or you may want one to be able to follow along with recorded routines. If you'd rather listen to music, think about whether a place for a smart phone speaker dock is all you need, or if a full surround sound system is more your style. Don't forget about artwork and paint color.